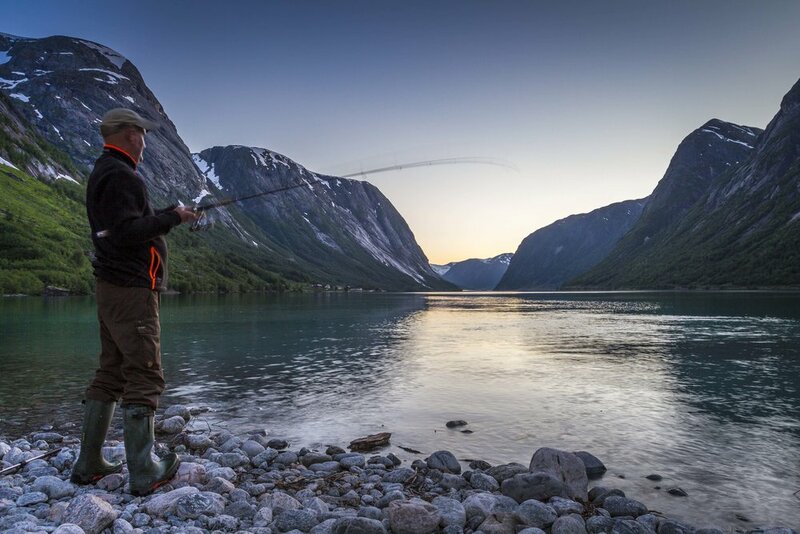 The Jølster Lake is renowned as one of Europes best fishing lakes for trout! In 1996 Sverre Amundsen caught by rod a record trout of 12.1 kg. In the picture on the right he proudly exhibits the fish! The lake is about 1 km in walking distance from Lunde Turiststasjon , on a farm road with no traffic. Fishing permits can be purchased at Lunde Turiststasjon, the grocery stores and petrol stations in the area. Boat hire: NOK 150,- per day, inclusive lifejackets.